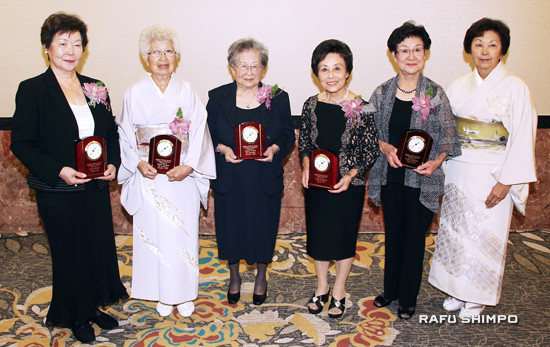 The Japanese Women’s Society of Southern California, founded in 1094, honored five women with its distinguished service award at the society’s 110th anniversary luncheon on Oct. 5. Honorees (from left) Kazuko Doizaki, Hisako Shohara, Kazuye Tsuboi, Yoshiko Yamaguchi, Kiyoko Yoshiyama are joined by President Kay Kayako Inose. The society also presented scholarship awards to the Japanese American Cultural and Community Center and Japanese Speaking Parents Association of Children with Challenges. 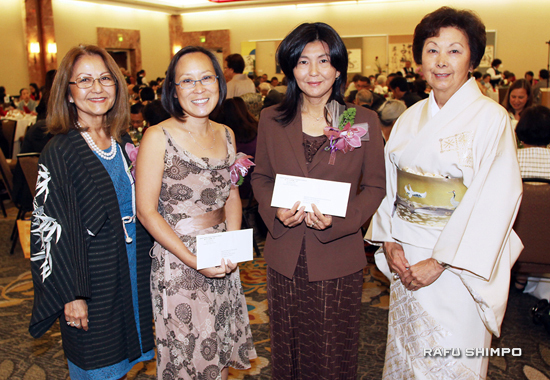 From left, Vice President Kitty Sankey, awardees Leslie Ito and Kazuyo Ikeguchi, and President Kay Kayoko Inose. 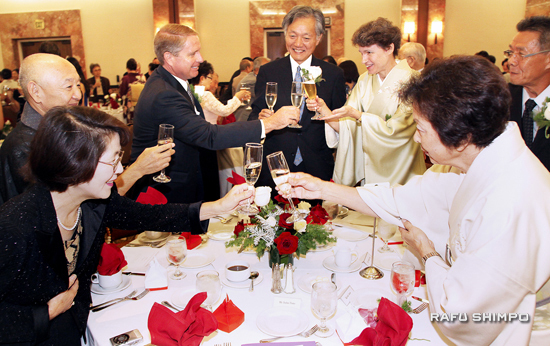 Consul General Harry Horinouchi and his wife Sabine join in a celebratory toast.